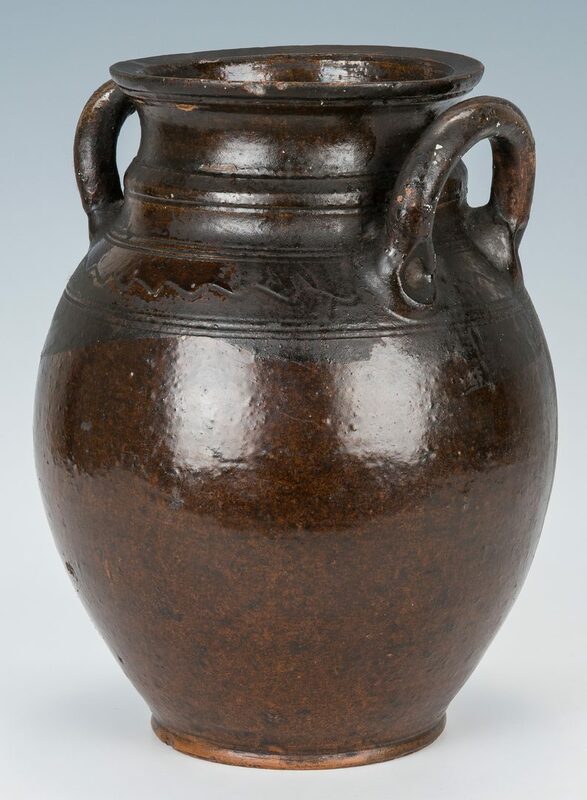 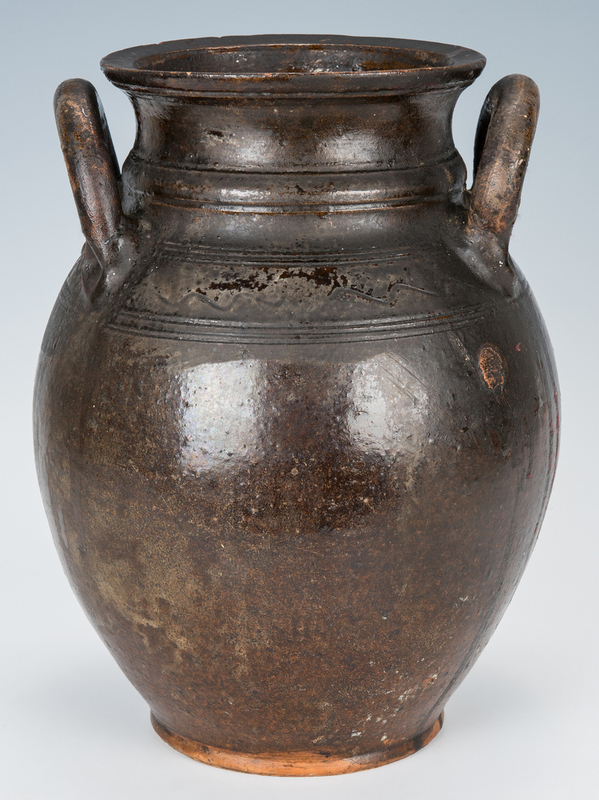 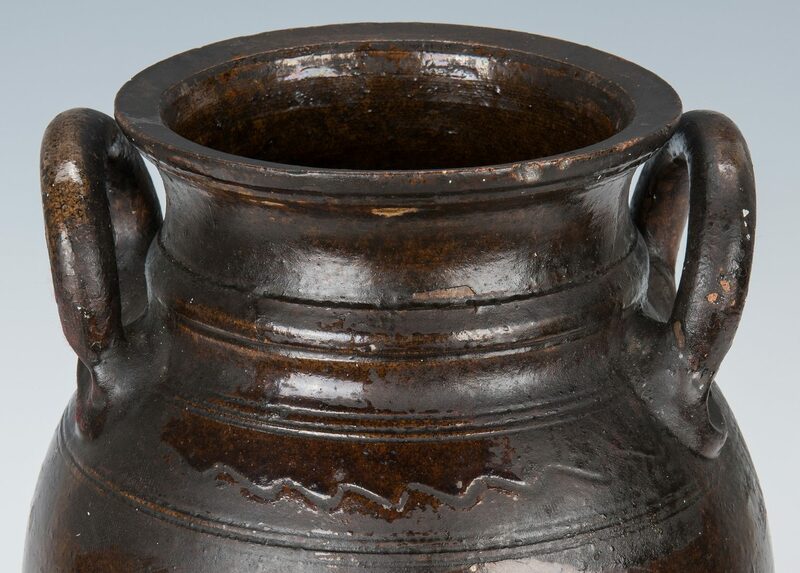 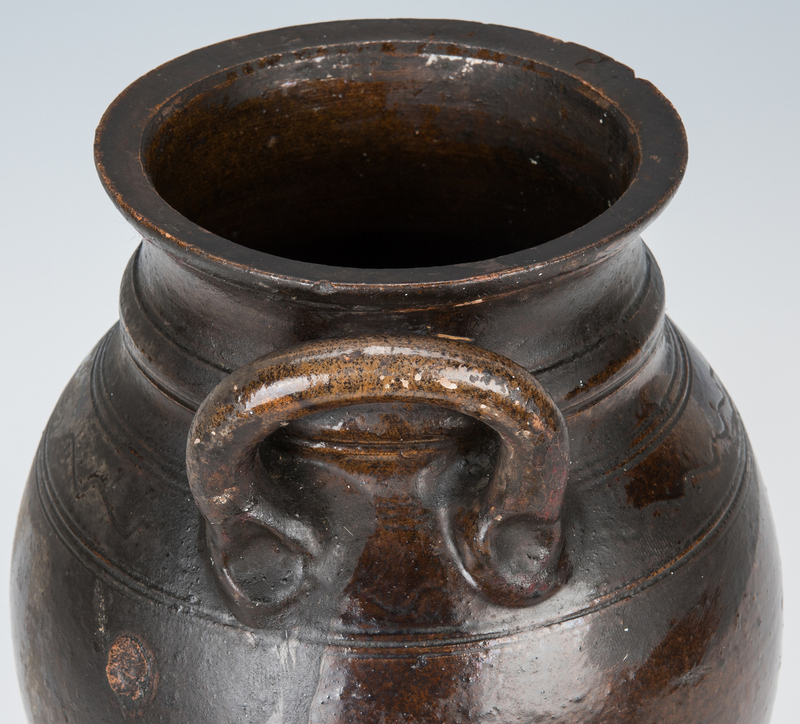 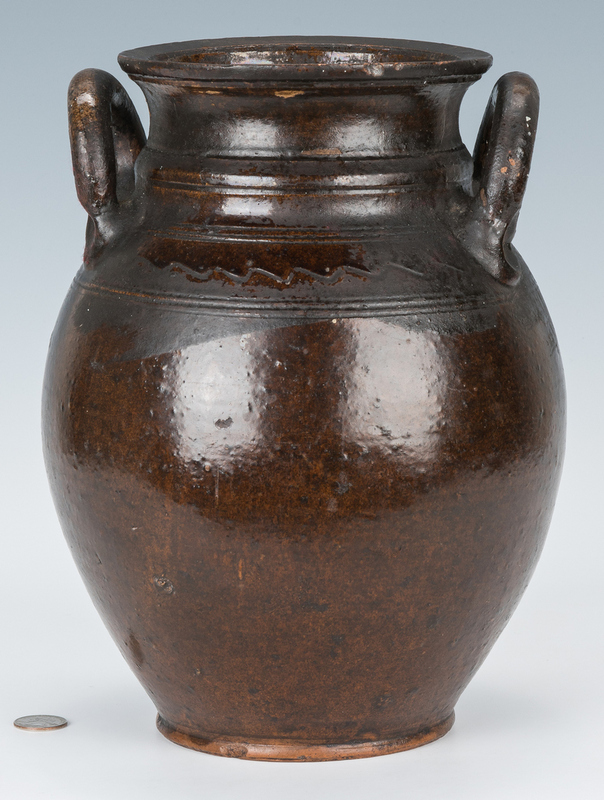 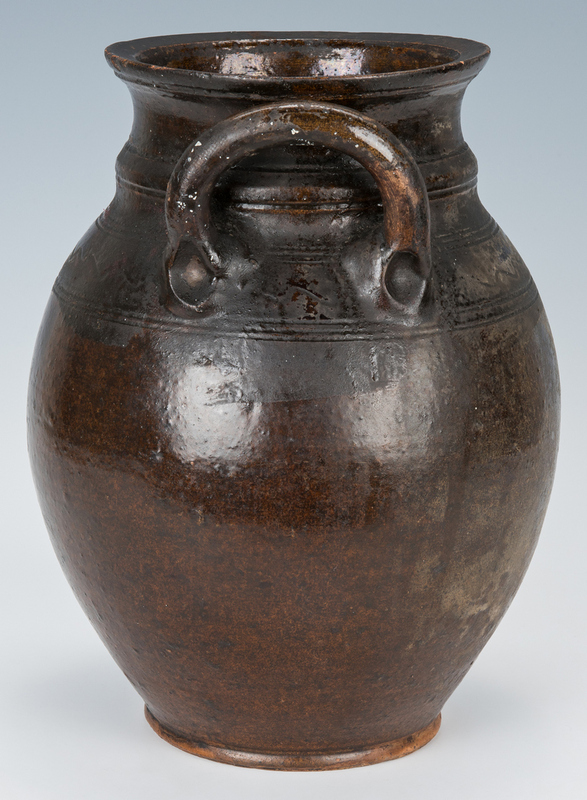 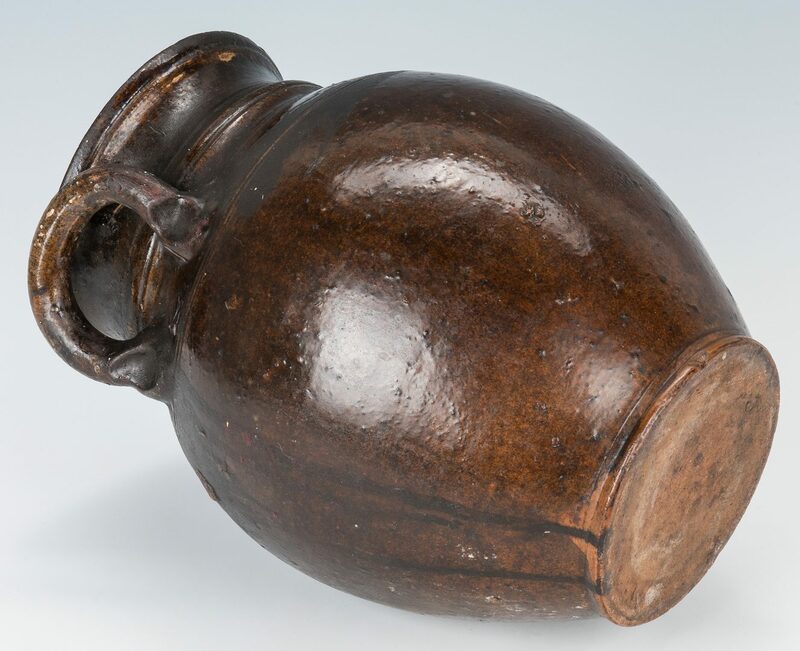 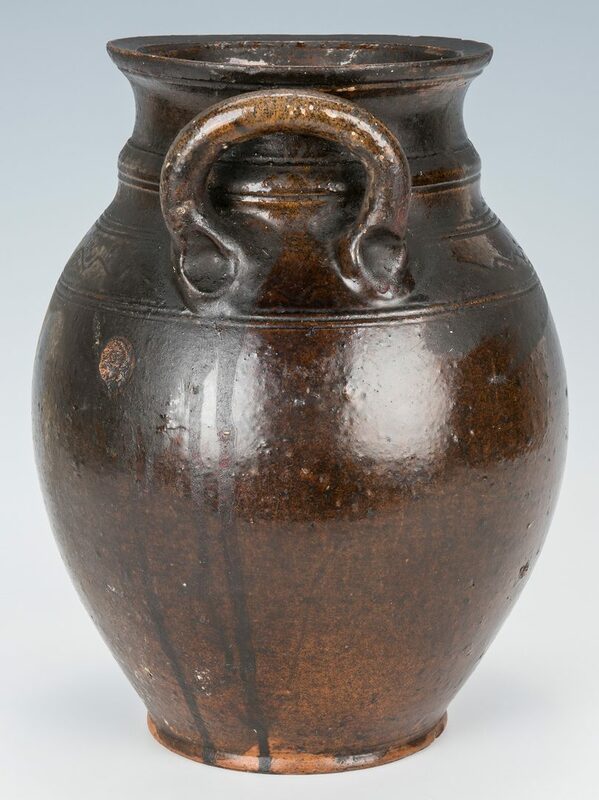 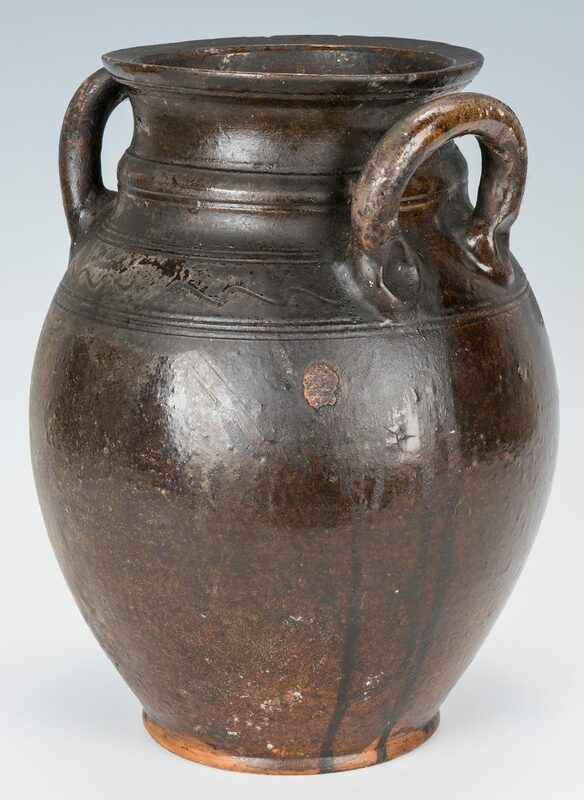 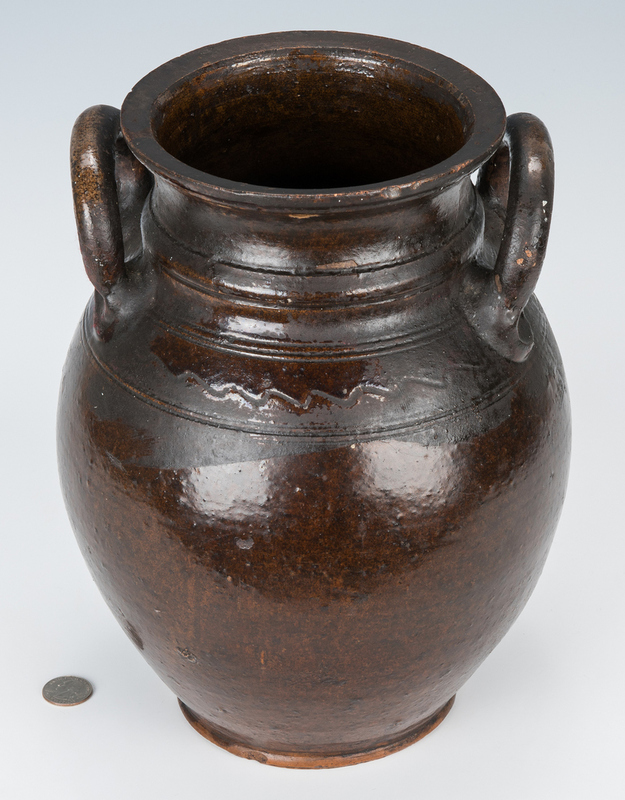 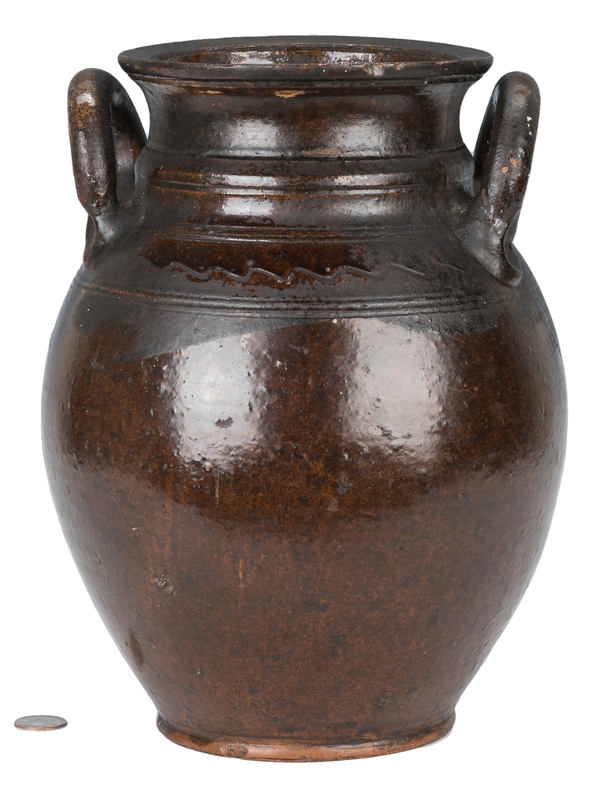 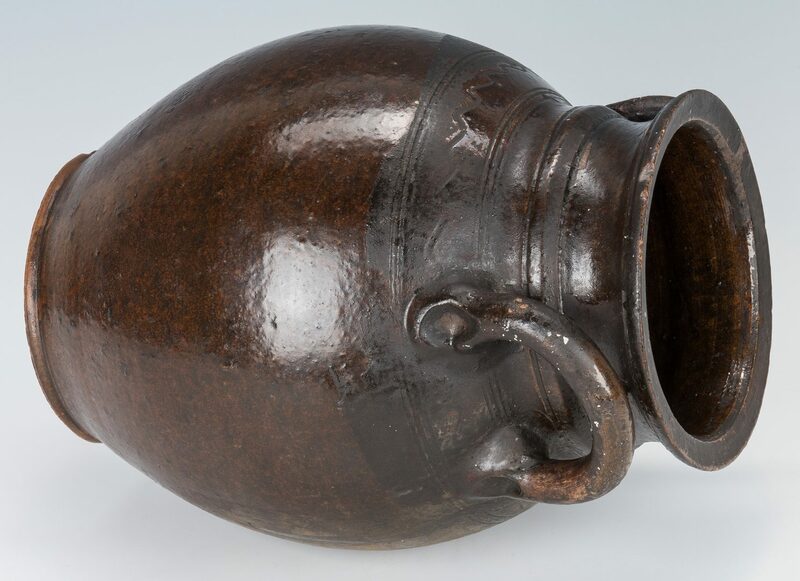 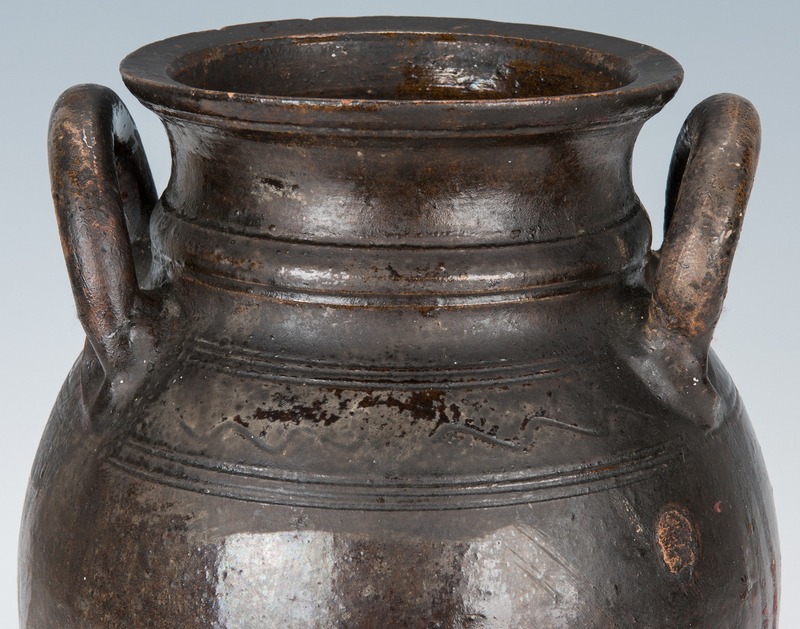 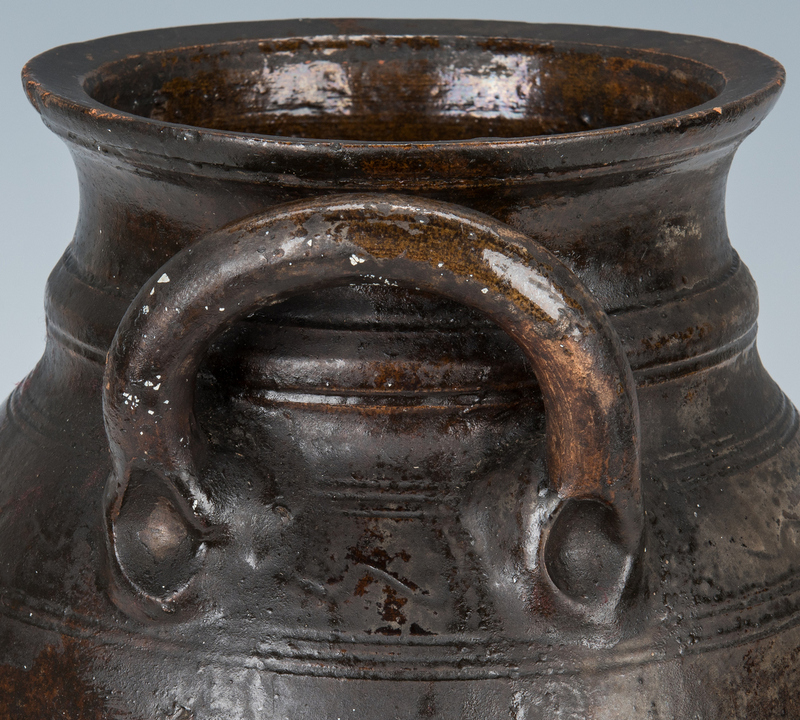 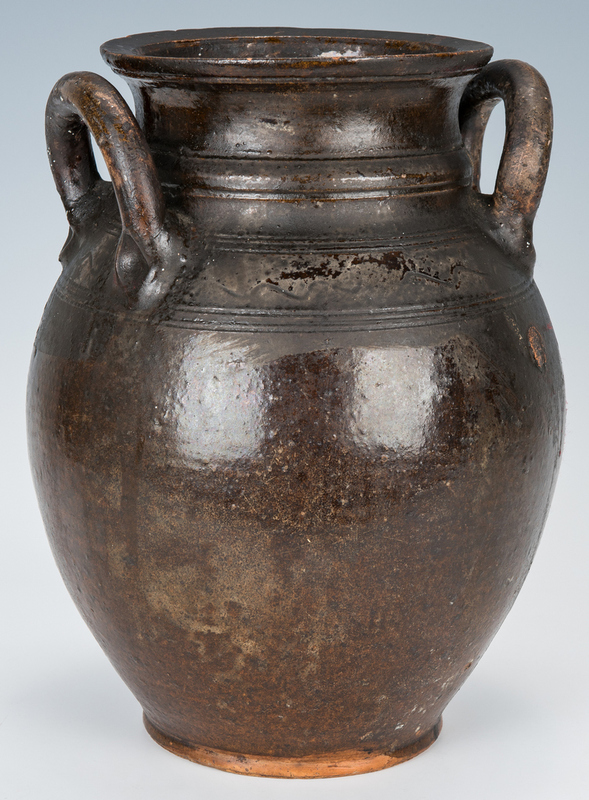 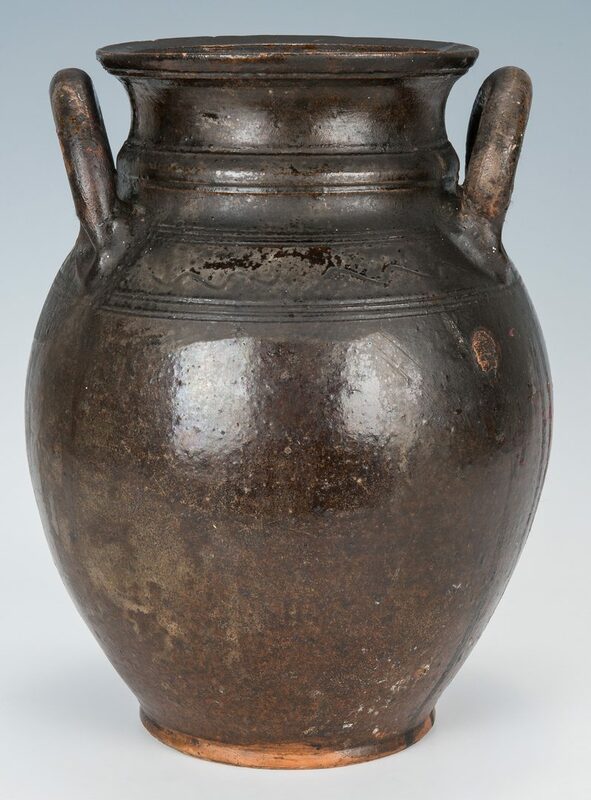 Southwest Virginia lead glazed earthenware ovoid form jar with rolled open loop handles terminating in thumb prints, flaring rim, and sine wave incising around the upper shoulder bordered by two incised lines. Base with beaded foot, unglazed bottom. Found in Grayson County, VA but possibly Washington Co., VA. 12" H. Second quarter of the 19th century. 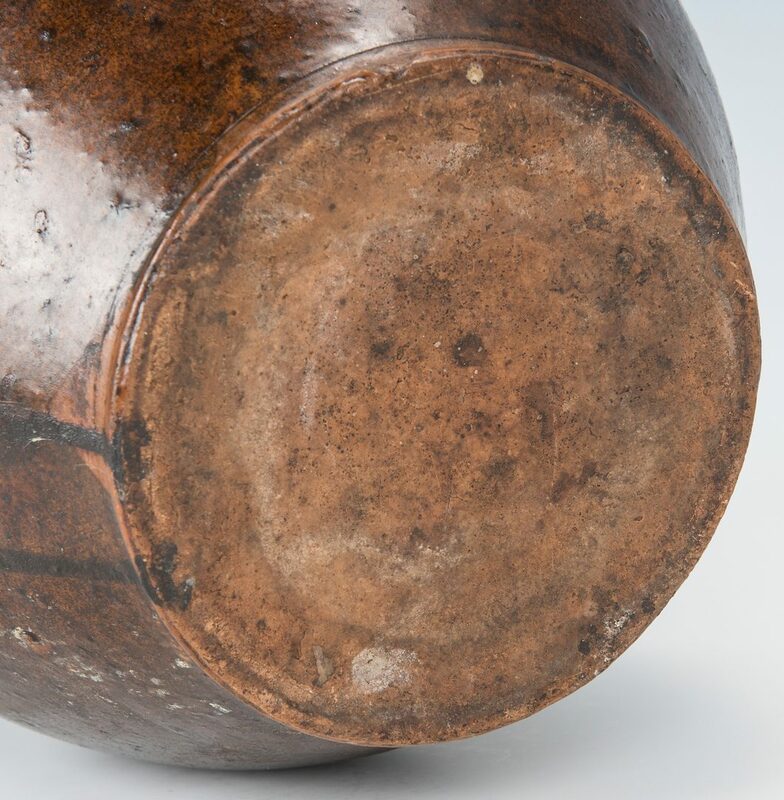 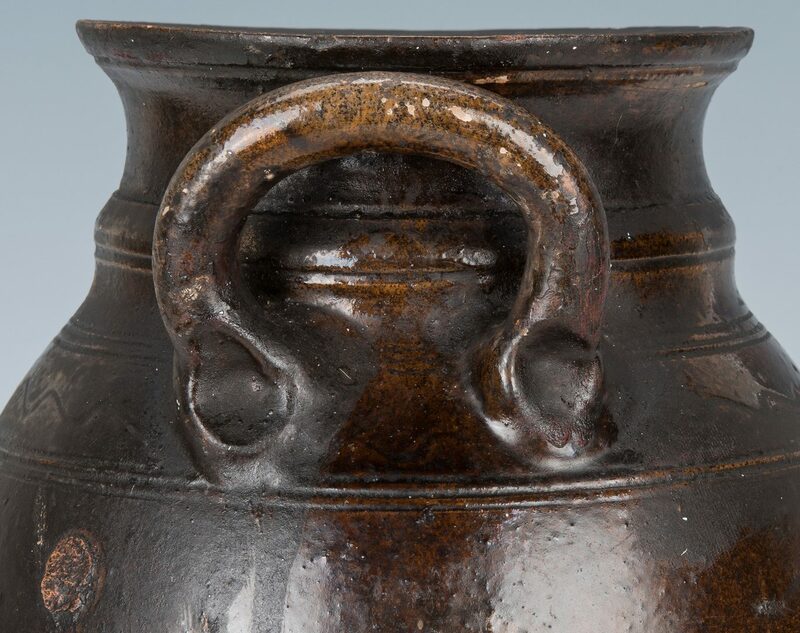 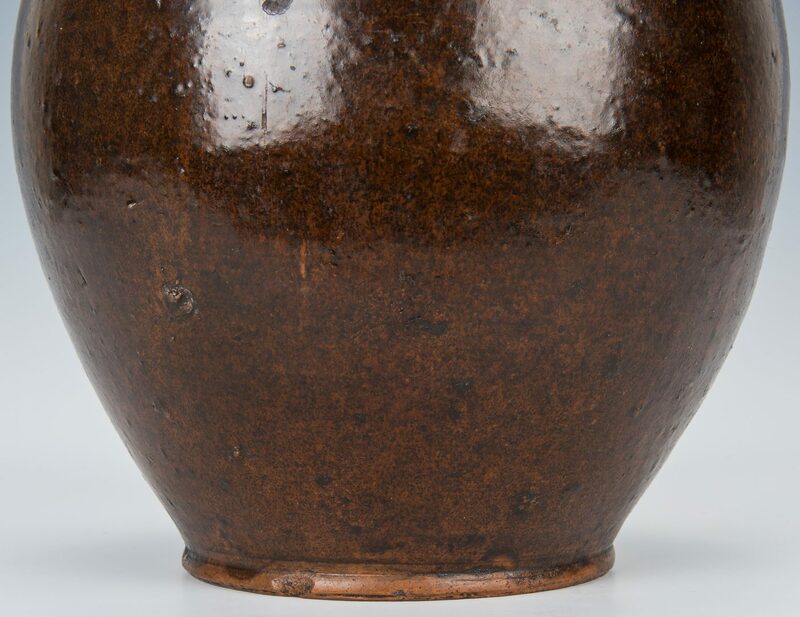 Note: The flaring rim, raised ridge above the shoulder, and thinner walls of this example are unusual attributes for Southwest Virginia earthenware. 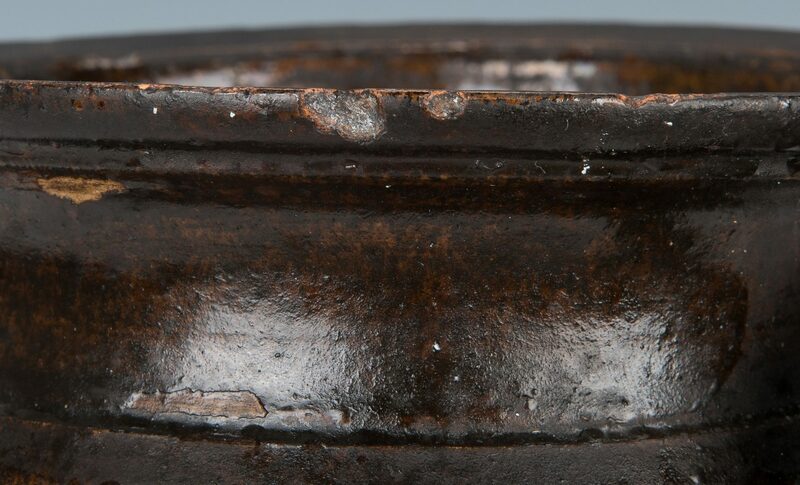 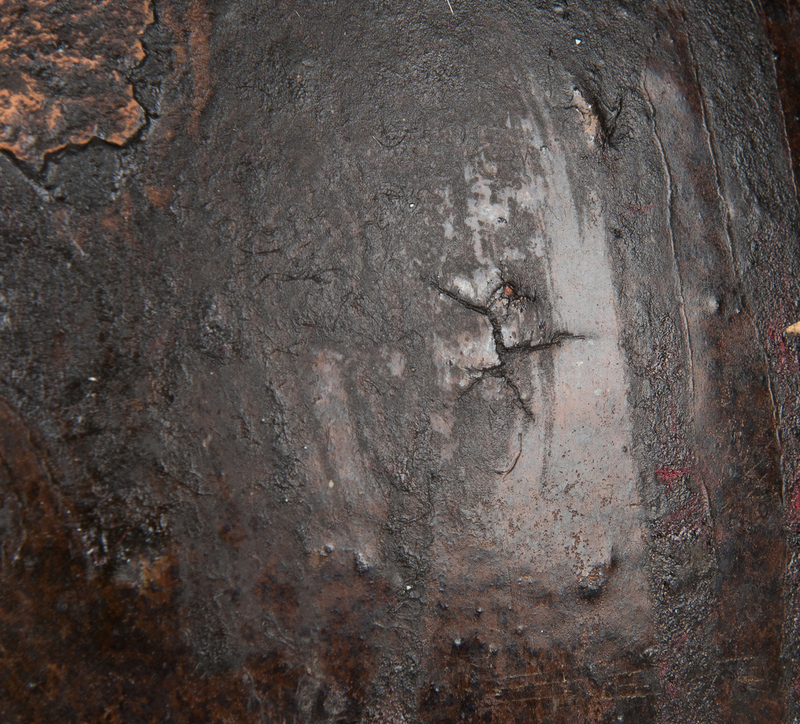 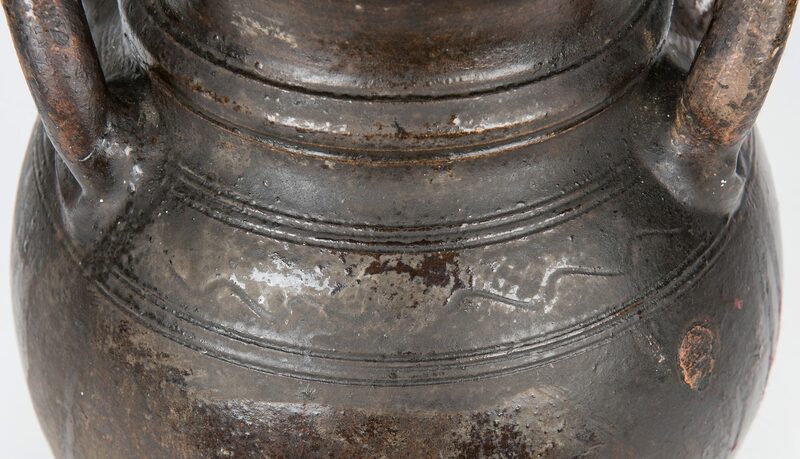 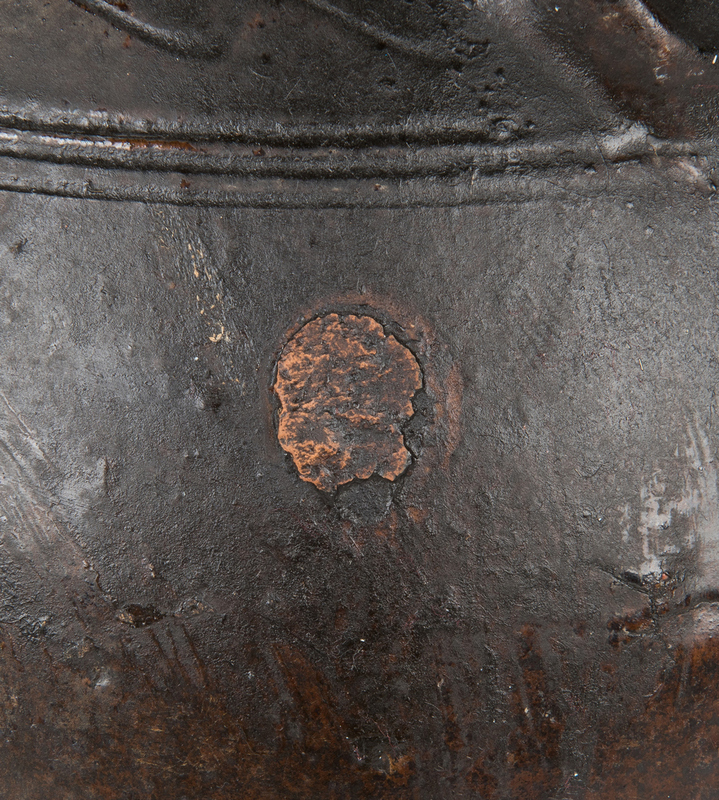 CONDITION: Old shallow chip to the rim, matted surface around base of handles suggest possible old repairs.